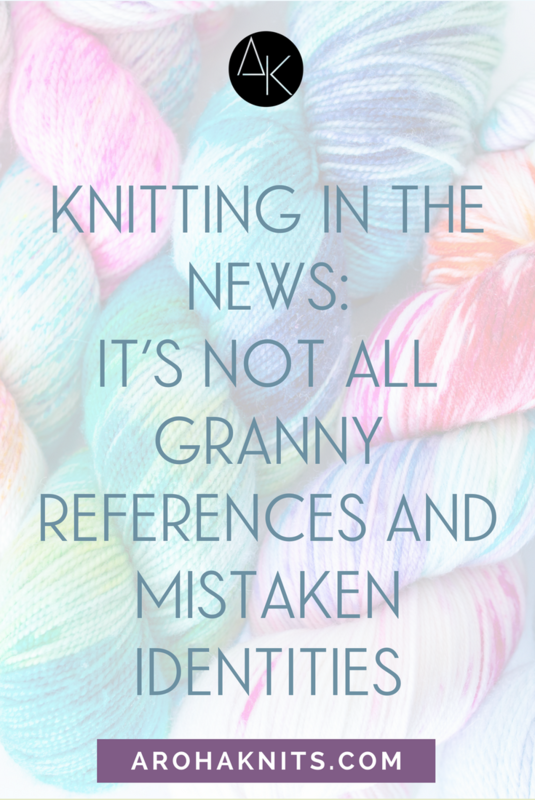 Most of us have heard rumors about a few celebrities who knit, but if you take a look at this giant list from the folks at Knit Crate, I bet you’ll find a few names on there that take you by surprise; I know I sure did (hello, Kurt Cobain!). Of course, one of the most recent examples comes from Krysten Ritter, the star of the Netflix series Jessica Jones, who is famous for being a knitting addict, like the rest of us. She recently appeared on the cover of Vogue Knitting magazine, and even attempted to teach Stephen Colbert how to knit on his late night talk show! Of course, these celebrities are privy to the secrets we already know—the multitude of ways that knitting can enrich your life and make you feel better on even the darkest day. Though their knitting is no more or less important than anyone else’s in the long run, the benefit of having them among our ranks is that they get more publicity than most of us. Every time a young, trendy actress takes up her needles, the world gets a visible reminder that the traditional stereotypes about our beloved craft are all wrong. Whether you’re a “freestyle” knitter or a traditional one, I think we can all appreciate the way knitting helps us connect to people all over the world, somewhat like the Olympics does! It was refreshing to see our favorite pastime combined with the Olympics in a way that the whole world would see. How will knitting empower YOU to take up a cause that’s close to your heart? Are you feeling inspired to take your knitting to public places, and raise public awareness that this craft we love is beneficial for anyone? Imagine, if we could all get just one or two more people in this world to take up the hobby—how much more connected would we feel, as a worldwide population? I hope you’ll find joy and inspiration in every stitch, and spread the love as you go.